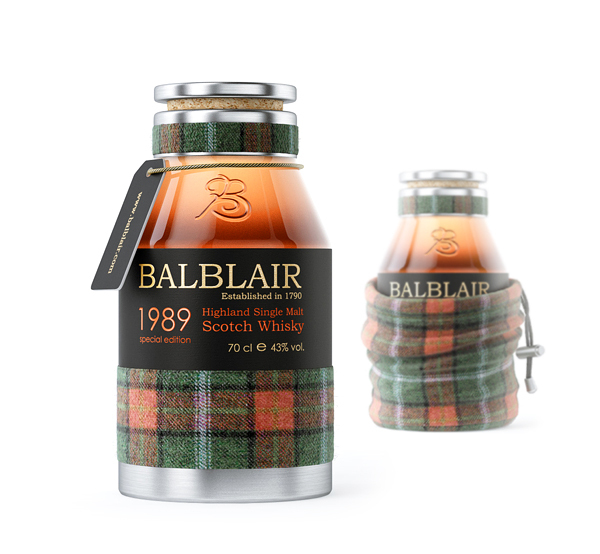 Lisbon based Multidisciplinary Design Studio NT.GJ has created extremely stylish design for Balbair whisky. 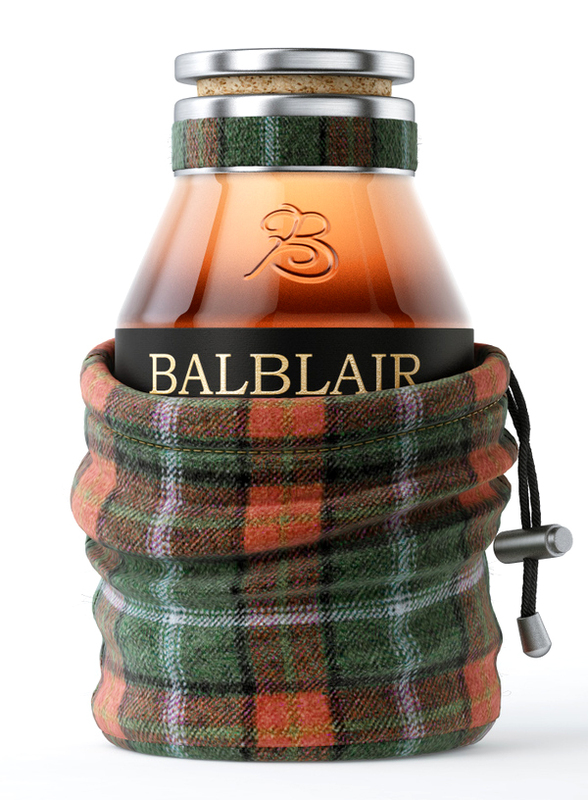 This is a sensitive and sophisticated approach to Balblair, a traditional scottish whiskey brand. This passionately designed pack preserves the essence of premium and expensive single malt whisky. NTGJ intentionally mixed “rough” and traditional materials like real scottish wool and cork with new and “hi-tech” ones like aluminum, used on the cap and on some details.The use of real scottish wool came from the idea of giving the costumers a chance of experiencing Scotland, from when they look at the bottle to when they taste the whisky. The goal was to design an experience first and a beautiful bottle second. The secondary pack is a wool bag which gives a personal, original and exclusive touch to the brand. The bottle shape is simple but elegant and modern. On this pack you can find a mix of shapes, materials and textures, which makes is unique and very interesting. 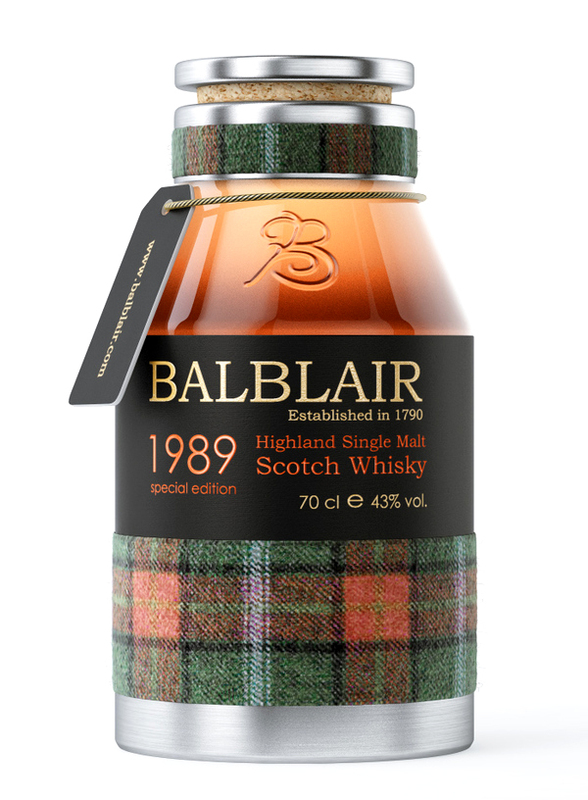 Balblair, in my very personal opinion, is the Highland counterpart of what Macallan of Speyside was once: smooth, unadulterated, full of character and distinct in every imaginable way. Thank you Balblair. Where can i order this bottle? Price?